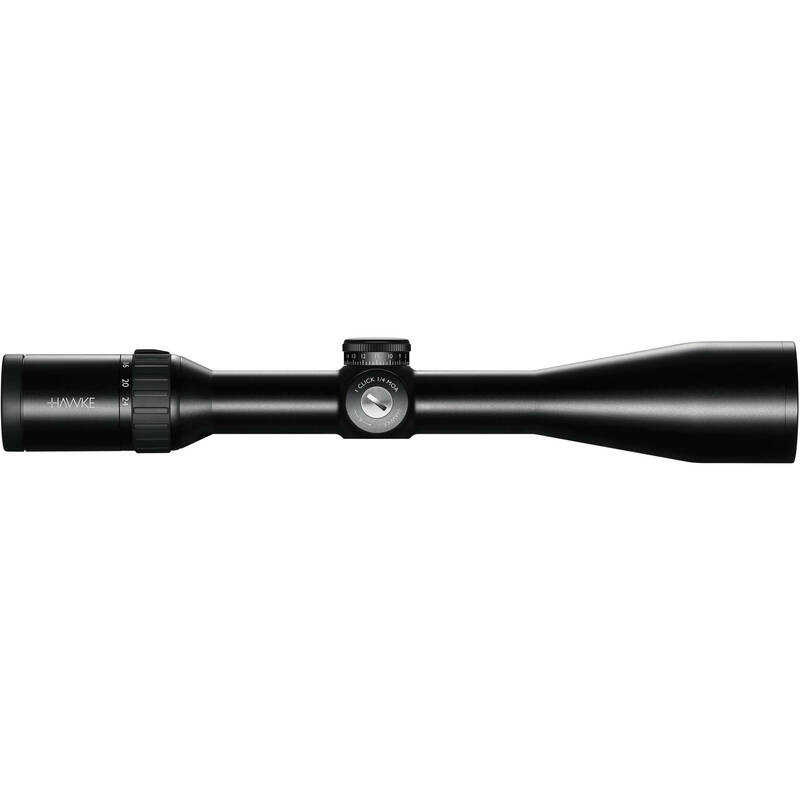 Hawke's 6-24x50 Endurance 30 WA SF Riflescope combines a high zoom range with a wide 50mm objective in a compact and lightweight body to deliver a versatile scope for precision and distance hunting in low light. The scope inherits many characteristics of the series such as bright and clear fully multi-coated optics, a strong and durable one-piece 30mm maintube, a 15-yard minimum parallax-free range, and a fast-focus eyepiece while also introducing improvements in the form of an extended 20.7-5.1' (at 100 yards) field of view, 75 MOA windage and elevation ranges, and an increased number of layers of coatings (18). At the core of the optical system is the second focal plane LR Dot illuminated reticle, defined by the German #4 outline with three posts, a thin crosshair with ballistic stadia, and a brilliant red illuminated target dot. The reticle draws power from the included CR2032 battery, has six brightness levels, and provides a precise aiming reference. Box Dimensions (LxWxH) 21.3 x 6.3 x 4.5"